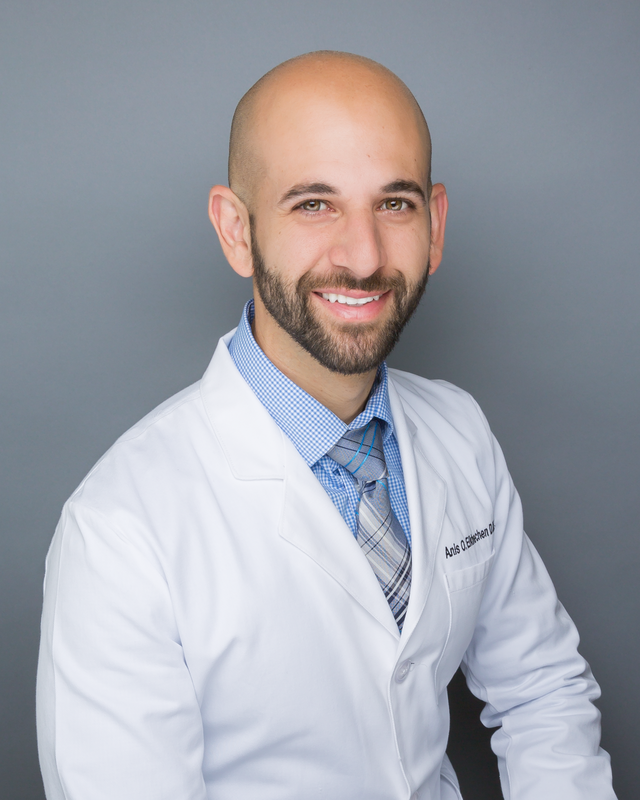 Dr. Elkhechen grew up in Boca Raton and received both his bachelor's degree and his Doctor of Dental Medicine degree from University of Florida in Gainesville. As an undergrad, he majored in Human Nutrition, and this interest in helping others achieve their best health is evident in the care he provides to each and every patient. His parents still live in Boca Raton, and his brother also provides health care as an orthopedic surgeon in West Palm Beach. After graduating from dental school, Dr. Elkhechen continued to seek out further training and ongoing education so he can provide the most modern care to his patients. He completed the implant dentistry continuum as well as the clinical mastery series on cosmetic dentistry and full mouth rehabilitation. Dr. Elkhechen recognizes that no matter how comfortable and inviting a dental office is, patients still have other places they'd rather be. This is why he also studied office efficiency to make sure his practice runs smoothly and minimizes the amount of time you have to spend in a dental chair! Dr. Elkhechen is a member of both the American Dental Association and the Academy of General Dentistry. Outside of the office, Dr. Elkhechen can likely be found spending time with family and friends, exercising, traveling to new places, skiing, or enjoying water sports such as fishing, paddle boarding, and swimming.